Doing some Spring Cleaning and looking for newfound spring spirit??? Well I’ve got something perfect for you! Hmm can you smell that??? Hmm, smell like teen spirit, right?? No, it’s the New 2014 Dodge Durango! The 3-year-old Dodge Durango gets a major spiffing up for 2014. With a mild exterior refresh plus an Eco Friendly power-train update, these combine to keep the three-row crossover fresh for a few more years. You’ll notice that one main change made by Dodge to the 2014 Durango is the addition of Chrysler’s new eight-speed automatic behind both engines (3.6-liter V-6 and 5.7-liter V-8). So while you are starting fresh for spring, you’ll also be saving money in this Durango! For the size of this SUV, the Durango’s effienancy has been boosted by around 9 percent! They call it the Eco Mode. This NEW eco mode comes standard and improves fuel economy. Want to know about the fuel economy?? Well, the official numbers haven’t been published yet but I’m going to fill you in on how well this SUV fills up! Dodge has promised a 25 mpg on the highway with a v-6 engine! So this means that you can drive up to 600 miles before you have to fill up! Awesome! 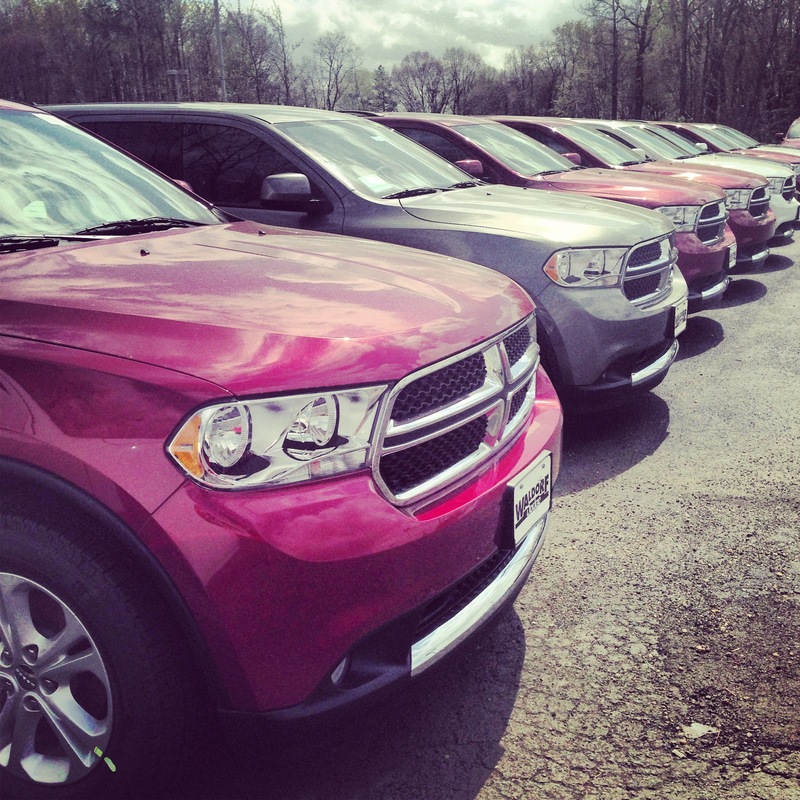 Going from Eco Mode to style mode, This 2014 Durango has got Sass! On the outside this Durango’s front is bolder and more aggressive with the revised lighting, front fascia, and crosshair grille. Are you a Hockey fan?? Does this remind you of anything?? Right, these citadel trims are shaped like hockey sticks and save energy using LED daytime running lights. So if you are looking for a fresh start this spring the new, slimmer, and unique 2014 Dodge Durango gets you moving in the right direction! 265 Solomons Island Road Prince Frederick, MD 20678. Or call 1 (888) 214-6868.